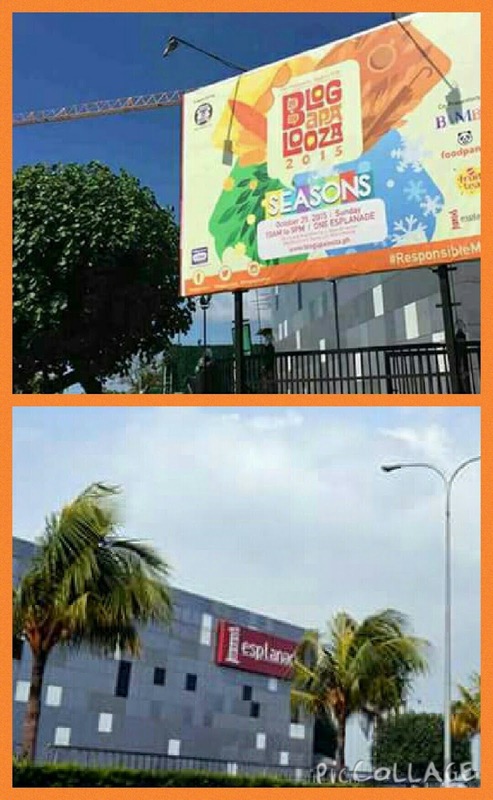 On November 30, 2015, from 9am to 8pm, at SMX Convention Centre in Mall of Asia in Pasay City, the biggest and much-awaited Business Conference in the Philippines will finally happen! The highlight of this event is the author of the New York Times’ best selling book “Rich Dad Poor Dad”, Mr. Robert Kiyosaki. While “Rich Dad Poor Dad” is the #1 personal finance book that has challenged and changed the way millions of people around the world think about money, Mr. Kiyosaki is recognized as one of the most influential businessman of our time and has touched the lives of millions nationwide. He is a well known investor, educational entrepreneur, self-help author, motivational speaker, and has taught entrepreneurs around the globe strategies in managing their personal assets, empowering them to reach their personal and financial goals. This event will also feature other renowned Masters of Wealth speakers, namely: Bellum Tan (Rich Dad Asia), Peng Joon (Outstanding and Successful Internet Marketing Guru), Andrew Matthew (Author of Be Happy), Richard Duncan (Best Selling Author and Global Economic Specialist), JT Foxx (World's No.1 Wealth Coach), Mario Singh (Asia's No.1 Forex Coach), and Rob Riopel (Millionaire Mind Intensive Coach). They will be sharing the exact strategies they use for dramatic wealth creation in any economic climate. 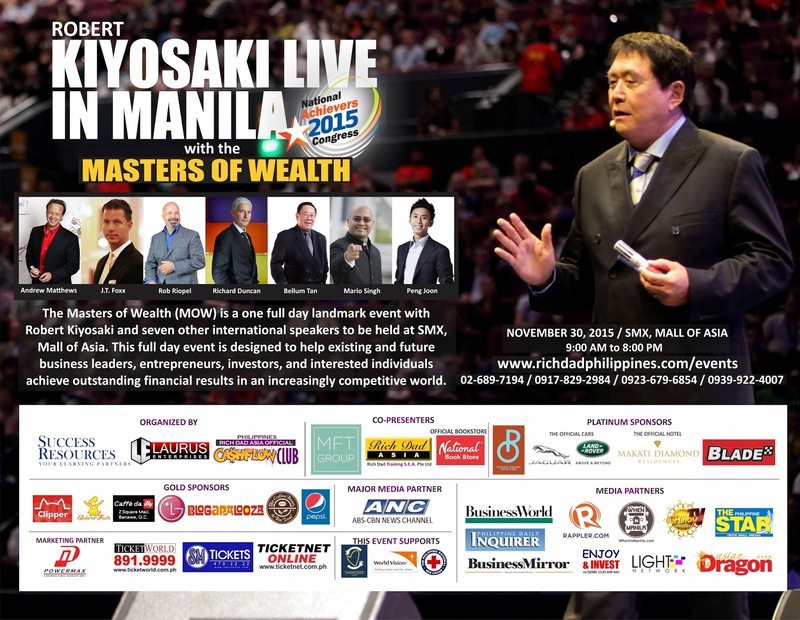 Owing to the fact that Mr. Kiyosaki is widely followed by businessmen and investors locally and internationally (both amateur and seasoned ones, including those “considering to be”), LAURUS and SRPL believe that the Robert Kiyosaki Live in Manila is going to be the most high-profile business conference in the Philippines. Hundreds of participants from different institutions are expected to attend, i.e., real estate, banking, insurance, small to medium enterprises, stocks & financial institutions, academe, and large scale enterprises. Robert Kiyosaki bravely predicts a global market crash this 2016 that is 20% WORSE than the 2008 economic crash which CAN wipe out the poor and the middle class, but CAN make the rich richer. The Robert Kiyosaki Live in Manila with the Masters of Wealth Business Conference will give you the most relevant personal finance information to help you understand that it's not all doom and gloom for 2016 and that you CAN do something to prepare for your future and the future of those who matters most to you. The Masters of Wealth is designed to help existing and future business leaders, entrepreneurs, investors, and interested individuals achieve outstanding financial results in an increasingly competitive world. Author of Rich Dad Poor Dad – the international runaway bestseller that has held a top spot on the New York Times bestsellers list for over six years – is an investor, entrepreneur and educator whose perspectives on money and investing fly in the face of conventional wisdom. He has, virtually single-handedly, challenged and changed the way tens of millions, around the world, think about money. In communicating his point of view on why ‘old’ advice – get a good job, save money, get out of debt, invest for the long term, and diversify – is ‘bad’ (both obsolete and flawed) advice, Robert has earned a reputation for straight talk, irreverence and courage. Rich Dad Poor Dad ranks as the longest-running bestseller on all four of the lists that report to Publisher’s Weekly – The New York Times, Business Week, The Wall Street Journal and USA Today – and was named “USA Today’s #1 Money Book” two years in a row. It is the third longest-running ‘how-to’ best seller of all time. In 2006, Robert teamed up with Donald Trump to co-author Why We Want You To Be Rich – Two Men – One Message. It debuted at #1 on The New York Times bestsellers list. Robert writes a bi-weekly column – ‘Why the Rich Are Getting Richer’ – for Yahoo! Finance and a monthly column titled ‘Rich Returns’ for Entrepreneur magazine. Aside from Rich Dad, Poor Dad book, Kiyosaki has also written more books on the same theme. Cashflow Quadrant: Rich Dad's Guide to Financial Freedom (2000) and many more. Once a month, women turn temporarily into monster – unpredictable, confrontational, irrational and emotional monster. As such, they wreak havoc on those that dare cross them. Acquaintances, friends, loved ones… none are spared. Why? 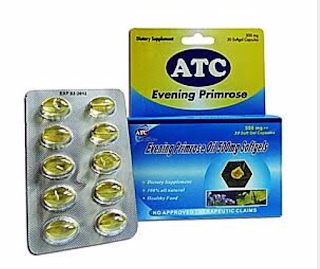 Premenstrual syndrome (PMS). 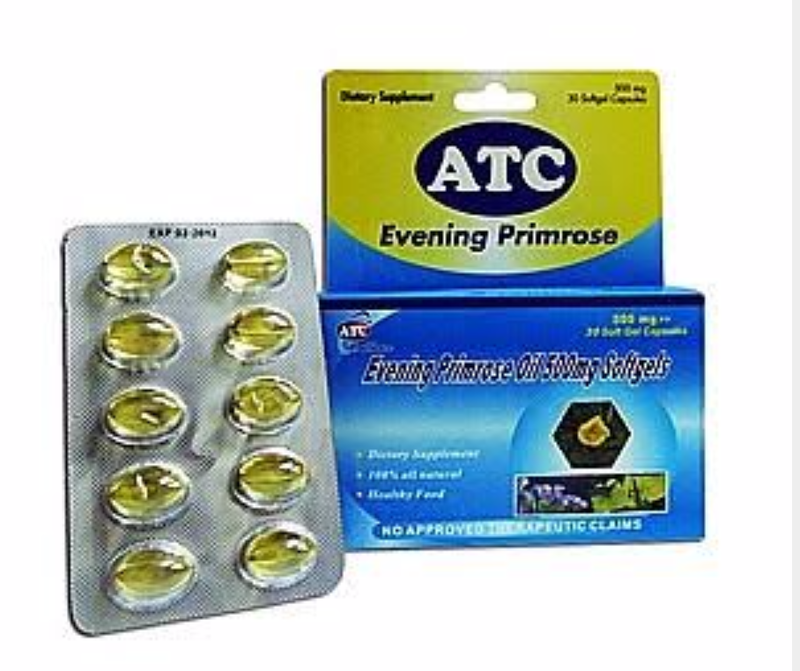 ATC Evening Primrose relieves premenstrual syndromes (PMS) and breast tenderness associated with the menstrual cycle. 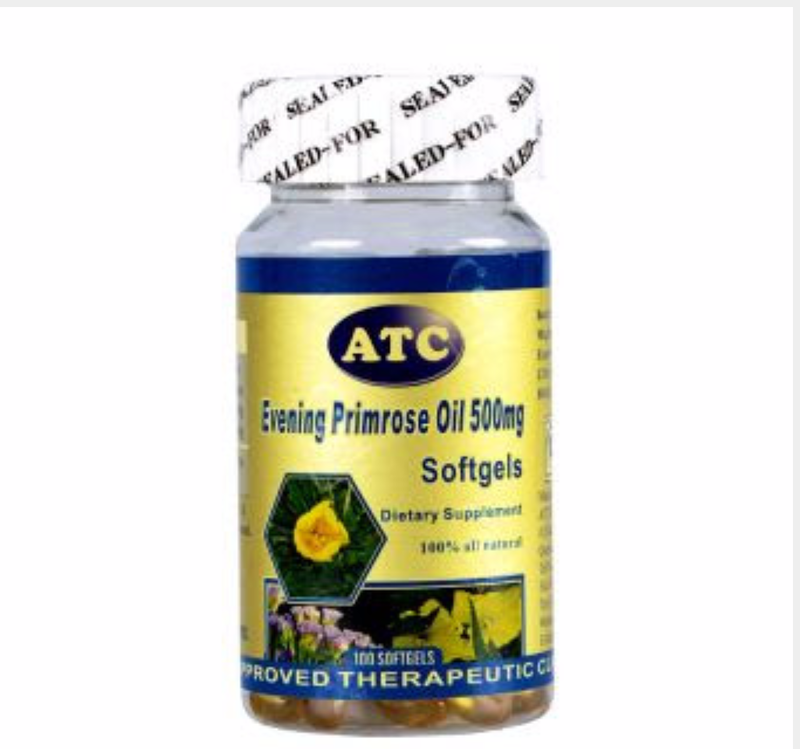 It also helps alleviate hot flashes caused by menopause and reduces symptoms of eczema and dermatitis. 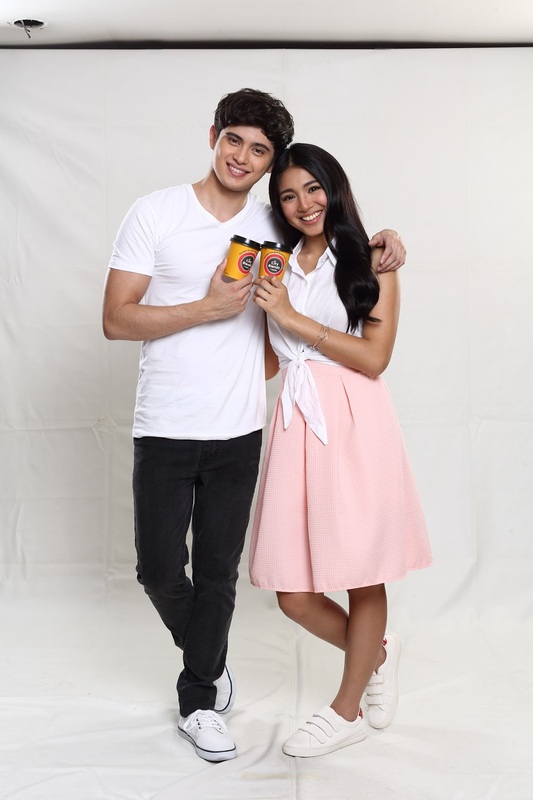 Now Brewing at 7-Eleven: City Blends makes JaDine the new ambassadors for Honest-To-Goodness Coffee! Fan response to the selection of the two has been positive across the board, with Reiders and Naddicts alike sharing the teasers, memes, as well as lines from the TVC on social media causing #JaDineFor711 to trend on Twitter. The overwhelming fan response has prompted 7-Eleven to release an exclusive never-before-seen footage from the TVC and print shoot plus the alternate endings that fans – what James could have said to Nadine. This is also 7-Eleven’s way to thank JaDine fans for the unexpected support, as well as for integrating the hugot lines in their social media posts. Apparently it’s hard to move on, especially when we’re talking about James Reid and Nadine Lustre. And that’s a good thing for #JaDineFor711. 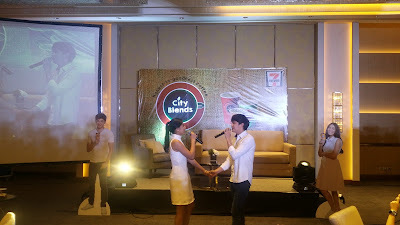 Honest-to-goodness Coffee With JaDine as the new endorsers, City Blends gets its well-deserved turn in the spotlight. The coffee is made from 100% Arabica beans, with each cup made fresh as you order. The City Blends machine grinds the beans on the spot, giving you unparalleled freshness: the secret to quality coffee. Even the pricing is great, with City Blends starting at 20 pesos, honest! 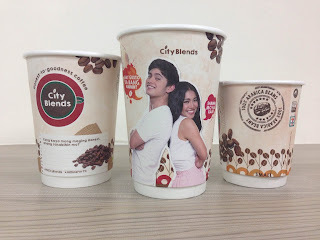 To excite fans even further, 7-Eleven is releasing limited edition City Blends cups with photos of JaDine! The 8oz cup features Nadine, the 12oz cup features James, and the 16oz cup features the couple. The JaDine cups do not only have hugot quotes from the TVC, they are also interactive so customers can have fun writing their own honest hugot as well. The cups will be available in City Blends stores by November 4, 2015. Hershey's Dark Chocolate. Try the new 7-Eleven City Blends coffee currently available in 565 7-Eleven stores nationwide. 7-Eleven will end the year with 712 City Blends stores! Watch out for more of #JaDineFor711! GROHE is the world’s leading provider of sanitary fittings. 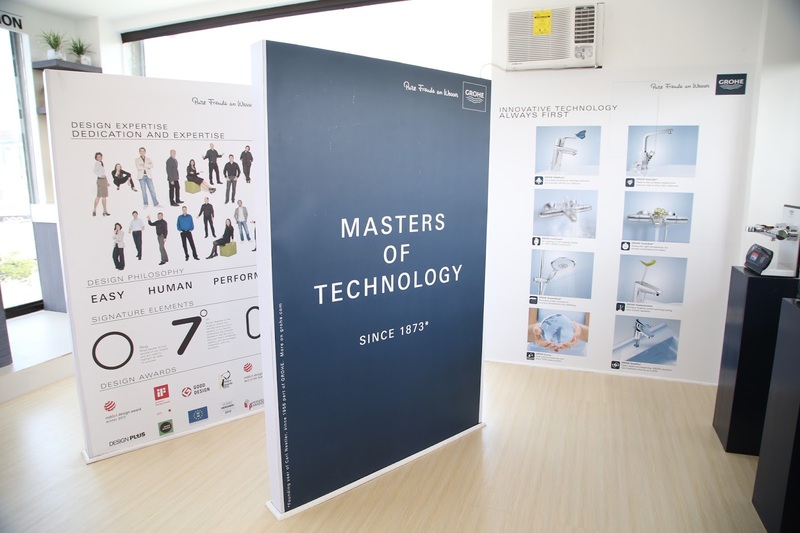 With its global GROHE brand, the company has relied on its brand values of technology, quality, design and sustainability for decades to deliver “Pure Freude an Wasser”. GROHE has a global workforce of around 6,000 people. There are about 2,400 employees working in Germany. 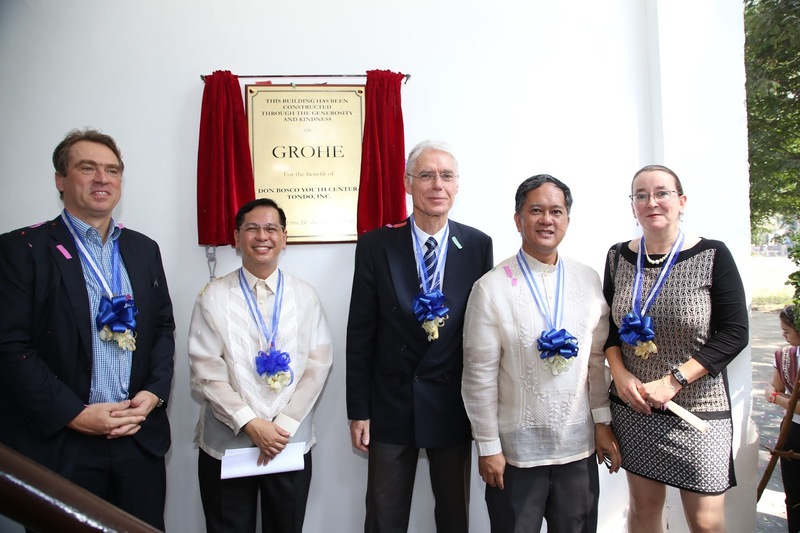 GROHE runs three production plants in Germany as well as several plants in other markets. In 2014, the company generated consolidated sales of €1.2 billion with its comprehensive product portfolio for bathroom and kitchen. 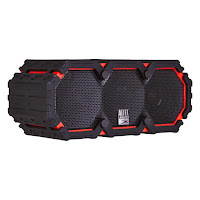 Some 85 percent of its sales are currently generated outside Germany. GROHE was taken over by the LIXIL Group and the Development Bank of Japan in January 2014. The LIXIL Group is the global leader in the building materials and housing equipment industries. Since April 2015, GROHE is part of the global market leader LIXIL Water Technology that pools LIXIL’s worldwide sanitary ware business in one single business unit with GROHE remaining an independent brand. Max’s, one of the country’s leading casual dining restaurant traces its roots to a family’s generosity and passion for good food. Max’s, “the house that fried chicken built,” continues to innovate and expand worldwide with plans to open branches outside the United States. Today, Max’s Restaurant has established itself as a household name, an institution, and a proud Filipino tradition, zealously upholding the values passed on from its early beginnings in 1945 to the present –day generation of food aficionados. It is this diligence and dedication to detail that some claim “The House That Fried Chicken Built” became what it is today. 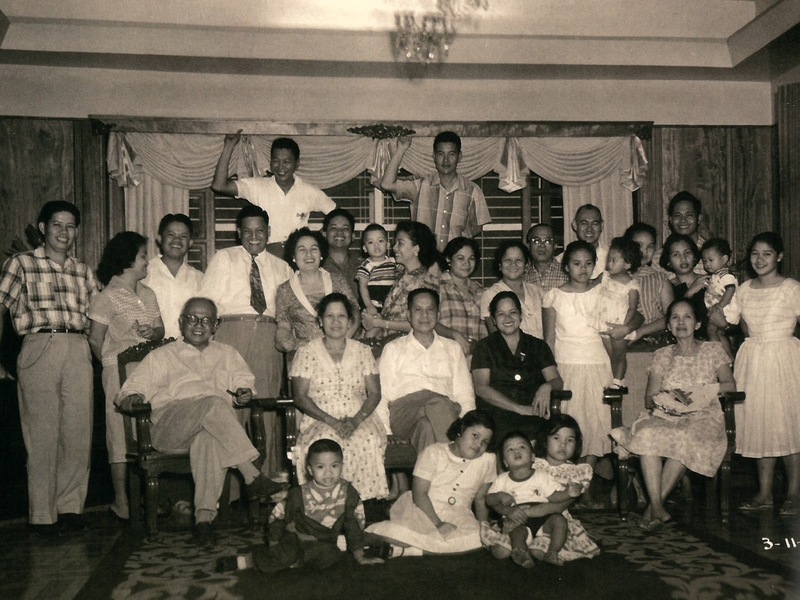 Typical of the Filipino hospitality, the restaurant's founder Maximo Gimenez frequently welcomed American soldiers into his home for hearty meals in 1945, after World War II. The soldiers enjoyed themselves so much and so often that they began to insist on paying, and eventually convinced Maximo to open a cafe. His niece Ruby was the secret ingredient to the cafe’s success, as it was her recipes that were used in cooking the fare that later became famous. And needless to say, it was the chicken that became a favorite among the GIs, despite how different it was from the fried chicken they were accustomed to eating in the United States. What Ruby had to offer was clearly something genuine. Now known as “Nanay Ruby,” her talents proved capable of cooking much more than chicken, as the favorites among her fare include the famous Max’s Restaurant Sinigang, the Kare Kare, Pancit Canton and Lumpiang Ubod to name a few, all key elements to their successful and long lasting menu. A hallmark of genuine Filipino culinary tradition, Max's Restaurant is a place of comfort that is every Filipino's home away from home. Time truly flies when the stomach is satisfied. This year, Max’s Restaurant is celebrating 70 years of delightful restaurant service that has managed to grow from a simple home cooking cafe to a successful international restaurant chain. A 70 year career in the competitive food industry is certainly something noteworthy and a definite cause for celebration. A milestone event that the restaurant hopes to share with its long time customers and friends, Max’s Restaurant celebrates this achievement in more ways than one, and thanks its supporters first. 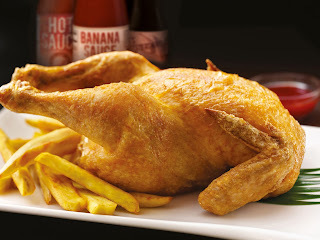 For the most exciting updates about Max’s Restaurant, log on to www.maxschicken.com or visit www.facebook.com/maxsrestaurant to be a Max’s Restaurant Facebook fan. 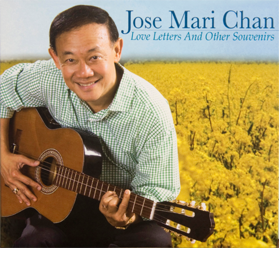 Jose Mari Chan has recently confirmed that he will join the star-studded ensemble of artists who will perform at the upcoming “Celebrate with Songs of Hope: A Christmas Fundraising Concert” as part of the Breast Cancer Awareness activities for this year. 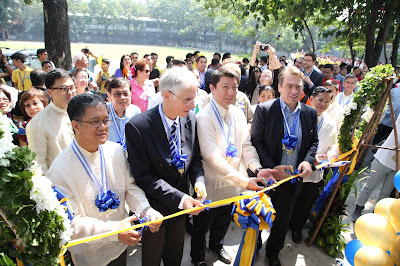 PFBCI is the first center for breast care in the Philippines. Founded by Dr. Florentino Doble, it is the only organization that has a Breast Cancer accreditation by the Philippine Council for NFO Certification for their commitment to assisting impoverished patients with emotional support and sourcing of financial assistance. Butterfly Twists collection of folding footwear is redefining style, comfort and fashion. We have a wide selection of affordable and practical ballet pumps that can be worn for everyday use and are perfect for almost any occasion from driving to clubbing and shopping to traveling. All of our ballet pumps and boots designs are innovative and include different colors and styles making sure that your foldable shoes always stand out from the crowd. From rush hour commutes to lunch meetings, from dinner dates to spontaneous trips, modern women nowadays juggle full schedules on a daily basis. Comfortable, fuss-free, and stylish shoes are needed to help them catch up with the hustle and bustle of everyday urban life. Women-on-the-go can now go shuffle between appointments with ease and in style with Butterfly Twists’ Autumn/Winter ’15 Collection. Lined with breathable fabric and memory foam, these lightweight foldable shoes are perfect for constantly busy lifestyles. Showcasing ballet pumps, slippers, and rain boots with new and exciting silhouettes, this collection also warm reds, and metallic palettes, allowing for a line that is both dynamic and refined, ready for the string of holiday festivities the –ber months bring. Trendsetters can walk on the wild side with our chic leopard-printed Tara pumps, and our pointy-toed Amber flats. The best-selling Reese pumps and the denim Christina flats with its crystal embellishments are also perfect for day-to-night wear. On the other hand, styles like Audrey with its brogue-inspired detailing, Penelope with its elegant and unexpected patterns, and Kate with its fun and shiny toe caps show that classic ballet silhouettes can still be fun. Butterfly Twists’ rain boots line also got an update with the new addition, Eton. These ankle-height boots are shorter for cuter and a more snug fit. Despite busy days, keep your style game on point with these designs and take everything one confident step at a time. 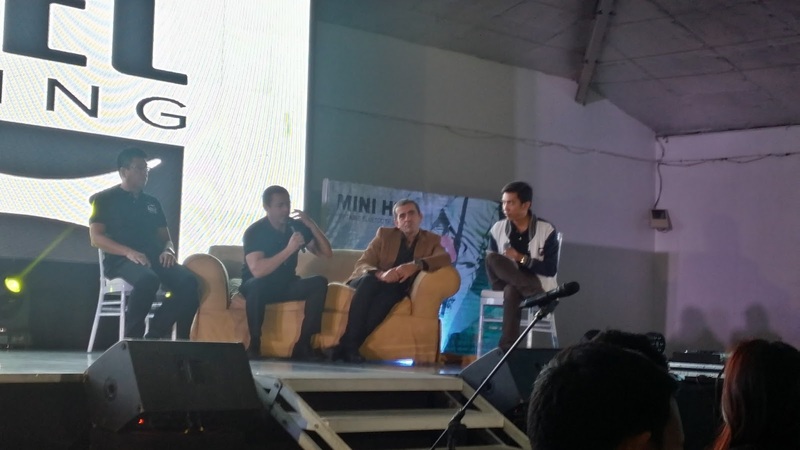 It all all started on a morning drive to One Esplanade in the Bay Area in Pasay City. As a neophyte blogger and first time attendee of the BLOGAPALOOZA 2015, I really have no idea of what is the event is all about aside from meeting up with fellow bloggers, marketing and networking event. Upon my arrival, while I am on line for registration, I was greeted by some of blogger's friend and was also introduced to other bloggers. Inside of One Esplanade there we're a lot of booths giving freebies, giveaways, free taste and many more. 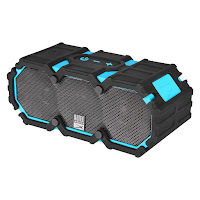 There we're also games in which you can get a prize if you're lucky enough to win. 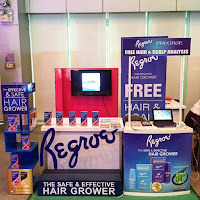 I like the Regroe booth where you will know the condition of your hair and scalp using their multidermascope. Also Dr. Kong where they assess your foot. I like also the app of Spine and Emporia. More power also to the other participants: Manong's Lechon Cebu, Acceler, Foodpanda, JB Music, Headshot, Sogo, Victoria Court, Breville, Flawless, Bangs Prime Salon, Eagle's Wing Enterprise, Diff, Unicef, Zaxy, Ginhawa Spa & Dining, Grand Videoke, Fragrance Factory, AquaBest, Microtel, Chips Delight, Cebu Pacific, Grendha, Ace Water, Hotel Quickly. Curves, VOffice, ThinkBit, Zeenoh and many more. It was a fun filled event in which I didn't noticed that it was already lunch time. The organizer provided the free lunch. It was a sumptous meal that will fill up the lost energy because of the continous fun filles activities provided by the sponsors and patrons. As I was going out of One Esplanade, I was already looking forward to the next Blogapalooza event, My Sunday morning well spent. Congratulations to the organizers! 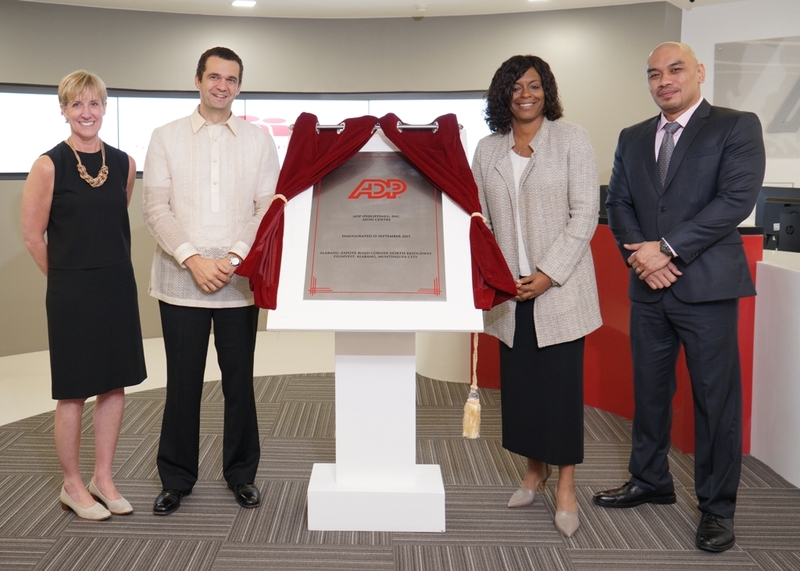 Taken during the inauguration of ADP’s new offices in Filinvest, Alabang are (left to right): Tina Tromiczak, Division Vice President for Global Operations and Print Services - ADP; Josep Elias, Vice President & General Manager - ADP (Phils. ), Inc.; Debbie Dyson, Corporate Vice President for Client Experience & Continuous Improvement – ADP; and Cris Mirador, Senior Director for Shared Services – ADP (Phils. 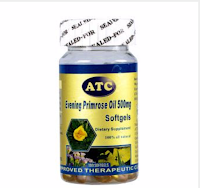 ), Inc. Employers around the world rely on ADP® (NASDAQ: ADP) for cloud-based solutions and services to help manage their most important asset - their people.ADP (Philippines), Inc. is a subsidiary of ADP, LLC and is a strategic hub for the global business, dedicated to deliver Employer Service solutions. It has been in the Philippines since 2010 handling services such as payroll, tax services, technical product support, time & labor management as well as benefits administration. 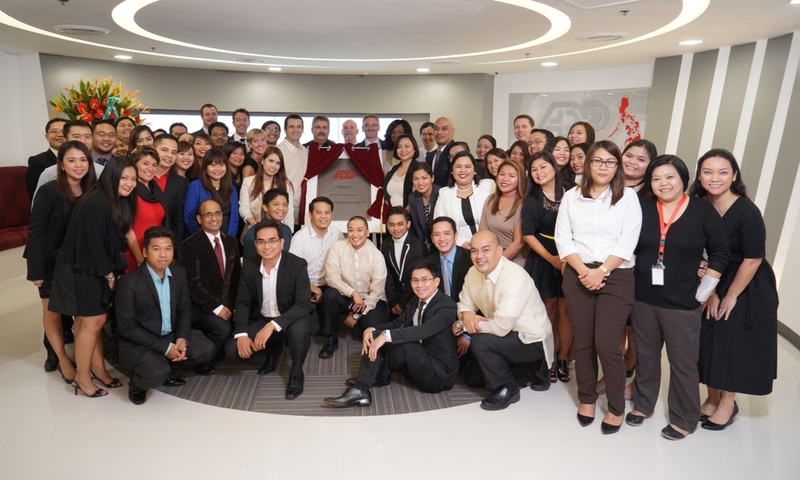 ADP®, a leading global provider of Human Capital Management and business process outsourcing recently inaugurated its new expansion in the Philippines. 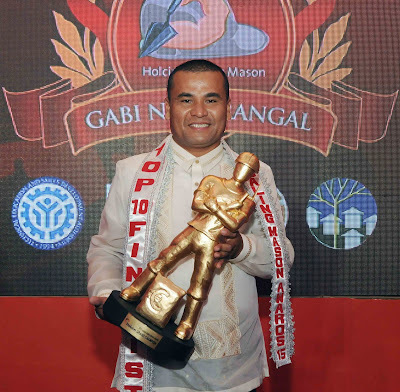 Ricky Pasco, a 39-year old, construction worker from Davao del Norte, is the winner of the 5th Holcim Galing Mason Award, the nationwide search for outstanding Filipino masons. 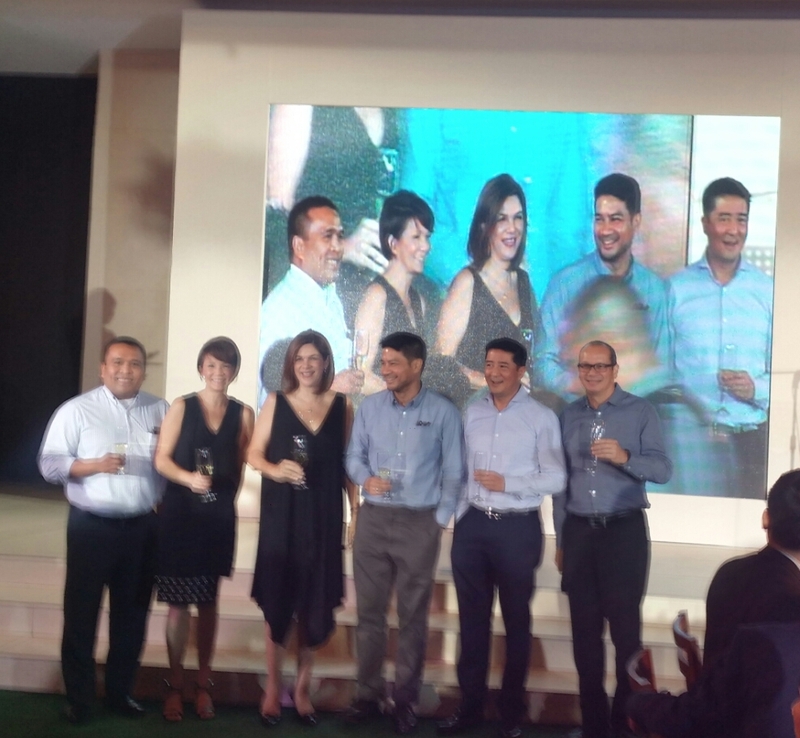 Pasco, the second Mindanaon to win the award, took home a Php150,000 cash prize and a trophy. Christmas came early this year for Ricky Pasco. He said during his acceptance speech at the awards night last September 25, “Maraming salamat po sa pagpapahalagang ibinigay ninyo sa aming mga mason. Sana ay magpatuloy ang programang ito upang mas marami pang mason ang matulungan na maging mabubuting trabahador (Thank you for appreciating the value masons contribute to society. We hope this program is sustained so it can help more masons become better in their trade). He plans to use part of his PhP150,000 cash prize for the tuition of his two kids. The first-time participant bested 19 other national semi-finalists. Pasco is the second Mindanaon to win the award. This year’s batch of ‘galing Mason national semi-finalists spent three days in Javier, Leyte building the perimeter fence for a community that Holcim Philippines, Inc. is supporting in partnership with the local government. The basis for the masons’ final score was their performance in Leyte, coupled with the results of their panel interview with representatives from HPI’s ‘galing Mason partner-organizations Technical Education and Skills Development Authority, Association of Construction and Informal Workers, Philippine Constructors Association, and National Housing Authority. “The ‘galing Mason Program is a testament to our commitment to sustainability. Equipping masons with the right skills is just the first step towards providing them with a more sustainable form of livelihood. Through the program, we aim to boost their employability and help them land jobs in the construction industry both here and abroad,” said Holcim Philippines President and CEO Eduardo A. Sahagun. 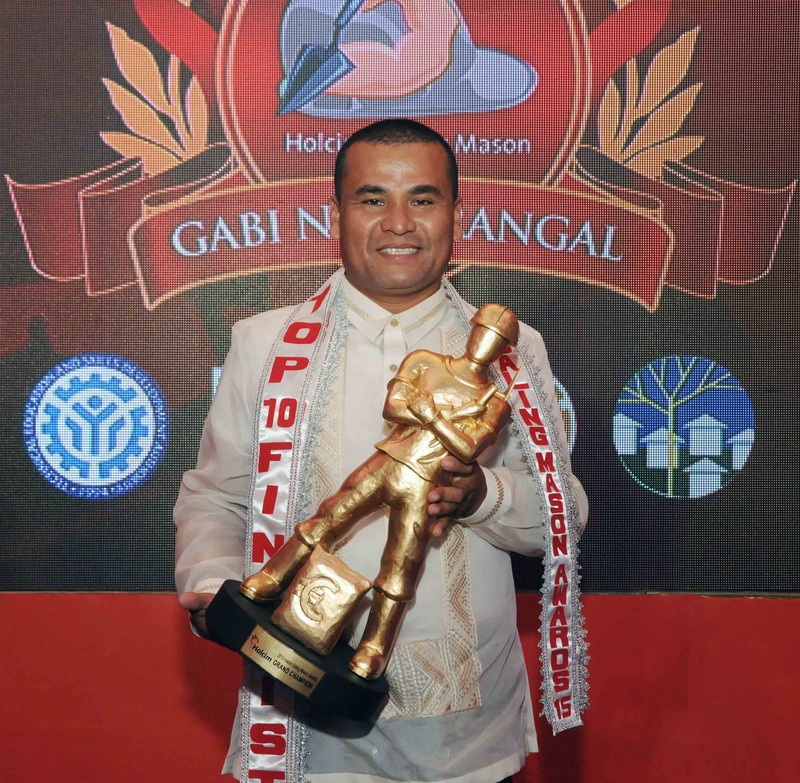 Sahagun noted that some of the ‘galing Mason winners have undergone further training to become masonry trainers. Others have used their learning in setting up their own contracting businesses. The ‘galing Mason Awards is the recognition component of HPI’s flagship Corporate Social Responsibility (CSR) initiative – the ‘galing Mason Program. Established in 2004, the program aims to upgrade the status of masons and recognize them for their essential role in helping build structures for development. With the onslaught of Typhoon Lando (Koppu) in Central and Northern Luzon, Pag-IBIG Fund announced that members can avail of calamity loans to help cushion the impact of the disaster. “We have allocated P6 billion to ensure that we have sufficient funds for our members who will apply for a Calamity Loan this year. We are ready to help our members get back on their feet,” said Atty. Chito M. Cruz, who heads the Pag-IBIG Fund Board of Trustees in his capacity as Chairman of the Housing and Urban Development Coordinating Council (HUDCC). The Pag-IBIG Calamity Loan is available to eligible members living in areas that have been declared under a state of calamity. Members, who have been contributing for at least two years, can borrow up to 80% of their total savings to answer for their immediate needs. On average, a Calamity Loan amounts to P20,000. “Members need not worry about high interest rates because we made the Calamity Loan more affordable. It’s now only 5.95% per annum, the lowest in the market. And in consideration of our members’ plight, there is also a three-month grace period so they have three months before amortization starts,” said Pag-IBIG President and CEO Atty. Darlene Marie B. Berberabe. Berberabe added that members may file their loan applications at the nearest Pag-IBIG office within 90 days from the date of declaration of the state of calamity. To apply, members only have to submit a filled-up application form and copies of their valid IDs and payslip or proof of income. PHILIPPINES. Although my b-day was August 19 its better late than never. 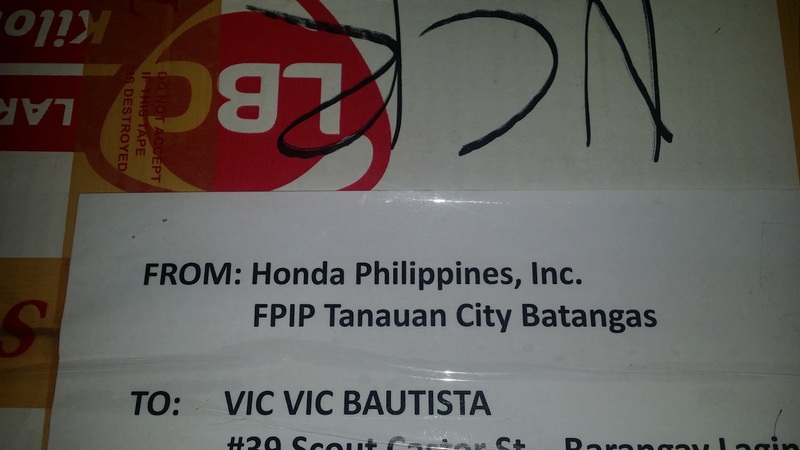 I feel very appreciated to them despite their very busy activities they still remember to share their blessings. I just want to give trivia to them that HONDA PHILIPPINES, INC. (HPI), the country's no. 1 motorcyles manufacturer and distributor. 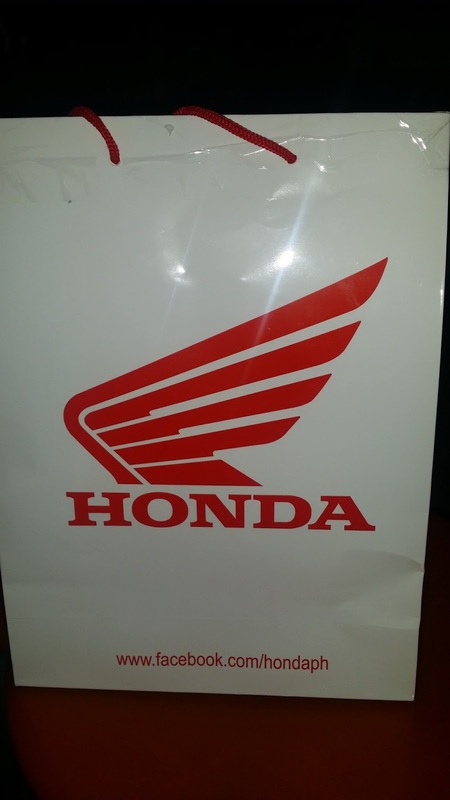 Being the number 1 motorcycle manufacturer in the Philippines, Honda Philippines Inc. has come up with different products that will delight the Filipino masses. 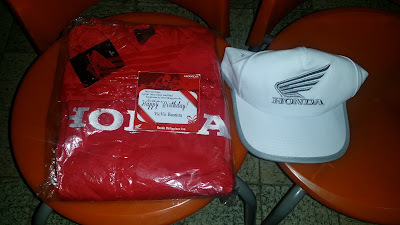 Once again thank you very much HONDA! 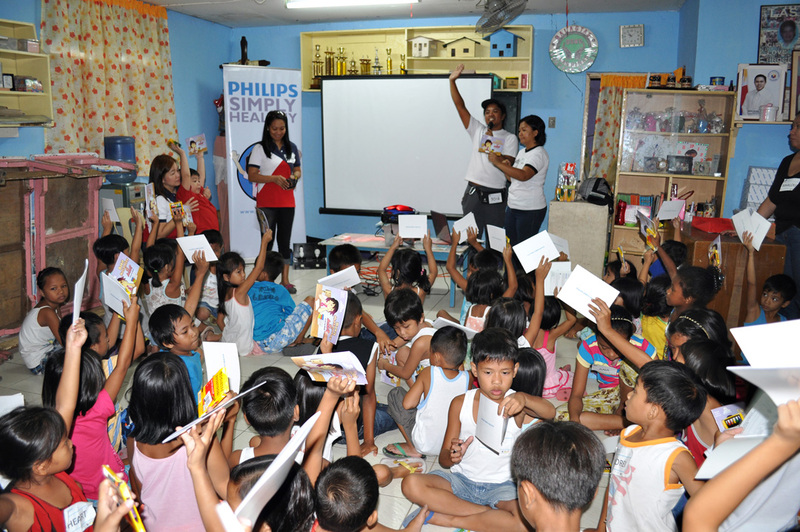 Royal Philips (NYSE: PHG, AEX: PHIA) is a diversified health and well-being company, focused on improving people’s lives through meaningful innovation in the areas of Healthcare, Consumer Lifestyle and Lighting. Headquartered in the Netherlands, Philips posted 2014 sales of EUR 21.4 billion and employs approximately 108,000 employees with sales and services in more than 100 countries. The company is a leader in cardiac care, acute care and home healthcare, energy efficient lighting solutions and new lighting applications, as well as male shaving and grooming and oral healthcare. 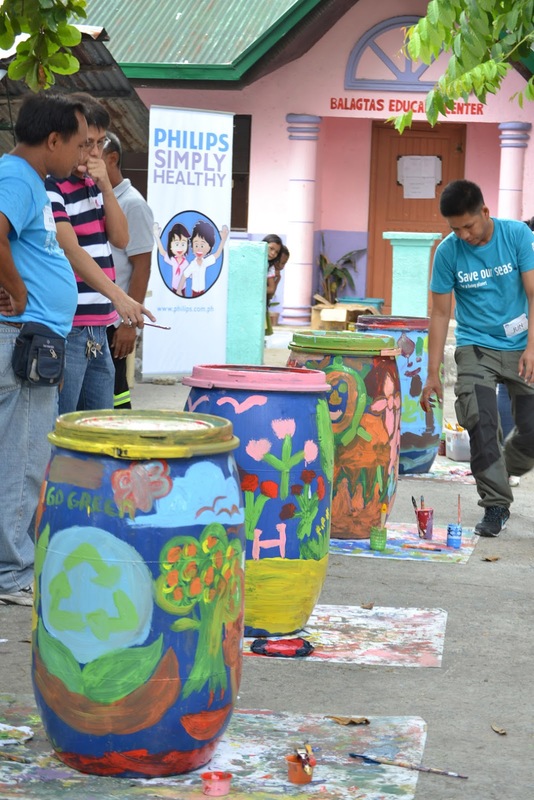 Energy conservation, climate change and environmental awareness are issues that Philips sought to enlighten the public about in its latest Simply Healthy learning session for residents of Barangay Balagtas in Pamplona Uno, Las Pinas city. For more information about our products, visit www.philips.com.ph or check out our Philips Philippines facebook fan page. News from Philips is located at www.philips.com/newscenter. The speakers during the launching (from left to right): Michael Bangayan, President of Banbros Commercial Inc.; Brian Quigley, Asia and Pacific Director of SAKAR International Inc. and Gaby Dahan, CEO of Market Maker. Host Dave Bedico, Banbros Marketing Manager. 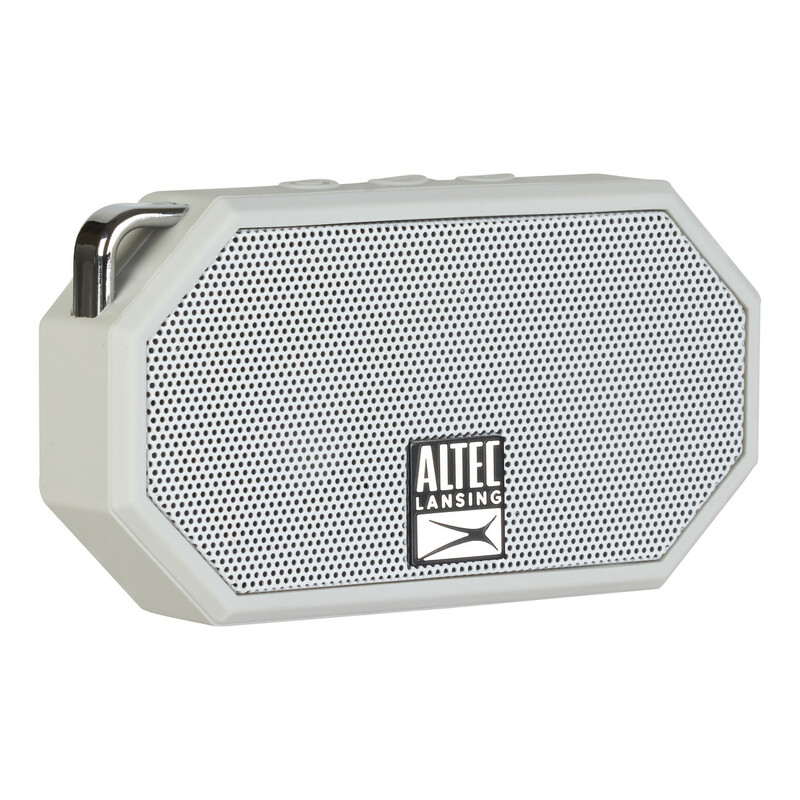 Last October 19, 2015, Altec Lansing Philippines announced its newest series of breakthrough outdoor speakers: the Life Jacket and Mini H2O. 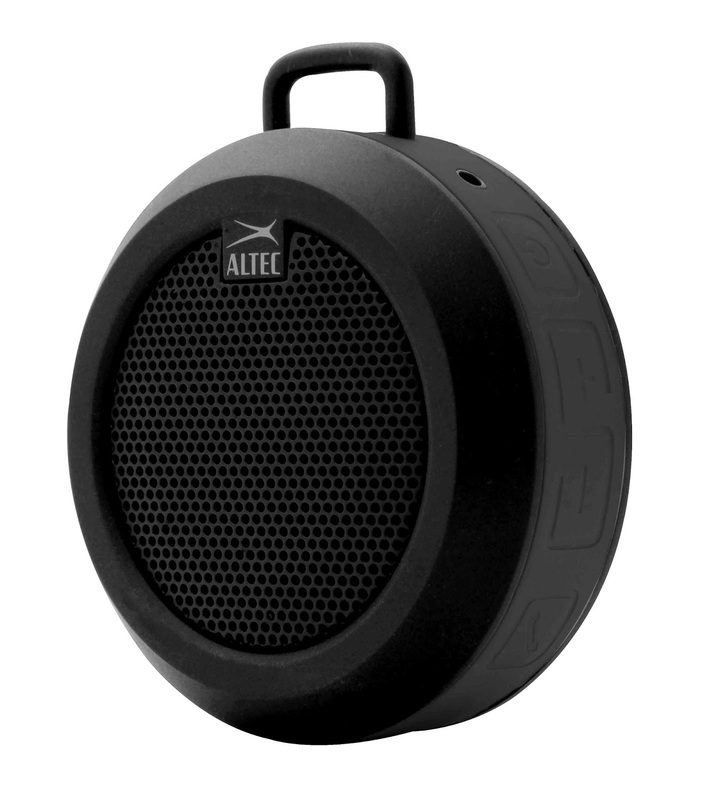 Altec Lansing has long been known for its superior expertise in sound quality, and this new line of outdoor speakers takes the brand to the next level. 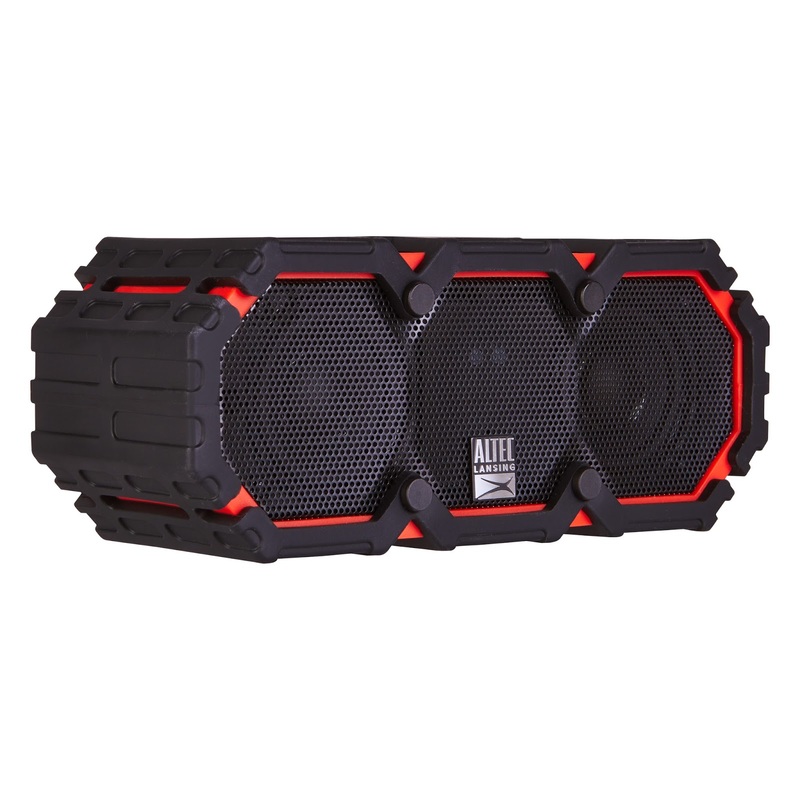 Quality meets unparalleled durability as these speakers are IP67 Waterproof/Dustproof/Shockproof rated, and even float on water. Dubbed “Everything Proof,” the Life Jacket and Mini H2O are surely built to last. Wingstop, a fast-casual restaurant specializing in flavorful wings, has been around for 21 years and from their simple beginnings, they have certainly soared to great heights – the secret of their success: FLAVOR. With over two billion wings sold, Wingstop has captured and perfected ten recipes with flavors that have made everyone who has ever tried them, crave for them. 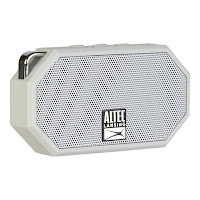 This has helped them win rave reviews from national taste tests, ‘best of’ reader polls and industry rankings. 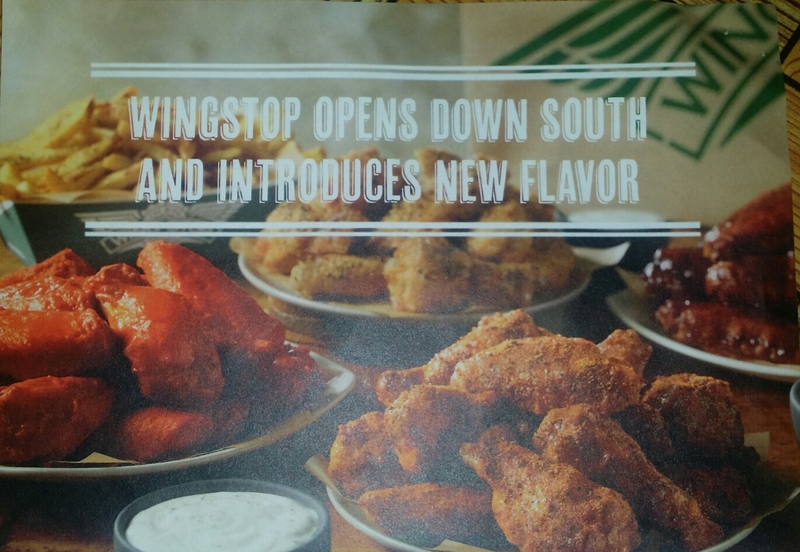 Now, Wingstop has taken flight to reach new destinations, introducing their unique culture and lifestyle which centers on crave-inducing Flavor. 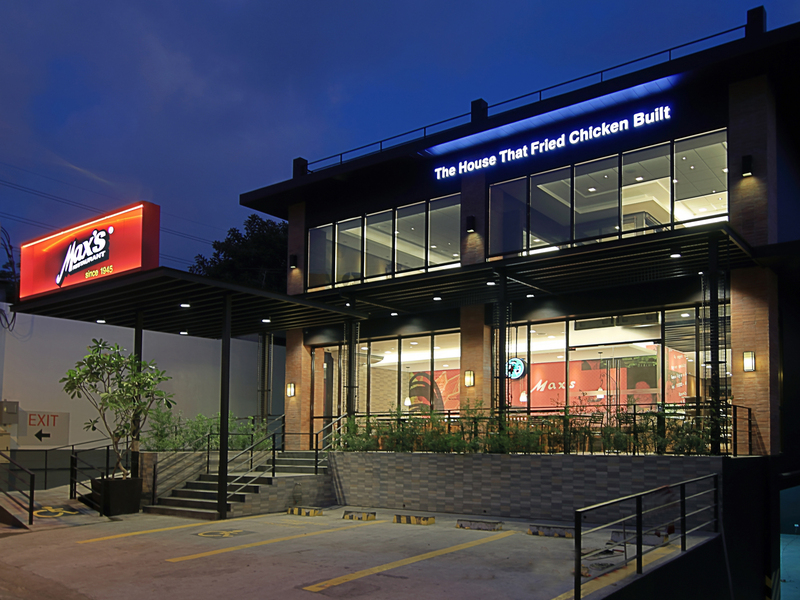 In the Philippines, Wingstop has been in the scene for just about a year with seven stores currently open and a quick growth projection of opening 50 more in the next six years. The Philippines, a country that is culturally rich, diverse and open to new experiences, especially when it comes to food, can now experience Texas-sized wings cooked and served in their award-winning style. Wingstop’s brand culture of sharing and celebration has also proven to be an instant fit with the optimistic and fun-loving traits of the Filipinos. Through taste, Wingstop is able to communicate a language that everyone can understand no matter where it is in the world. With flavor as their core, they are able to serve delectable and perfectly cooked wings that everyone can share and enjoy with friends and loved ones. Wingstop’s call to flavor consistently receives a tremendous amount of positive response – evidence that the crave for Wingstop is for real. 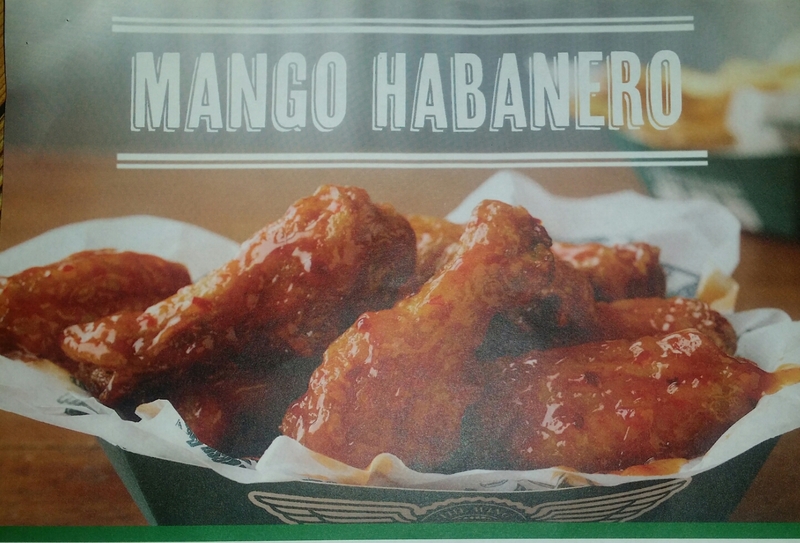 Wingstop's latest flavor, Mango Habanero is breaking norms by pairing two flavors that would ordinarily be at odds.While its bright red color may clue you in on its potential heat, this flavor takes you for a ride, starting off with a gentle sweetness that fades to reveal a rush a solid spice packed with a pretty heavy punch .Well-acquainted with the mango fruit, Filipinos will feel right at home licking this sauce off their fingers, but will also definitely find something new and thrilling in discovering its bolder, hotter side. The sweet flavor simply sets the stage for a highly addictive, tongue tingling, and literally mouth-watering sendation that leaves you with a craving you never even knew you had. Definitely not for the casual wing eater, Mango Habanero is the flavor of choice for those with a taste for the distinct and a weakness for real heat. 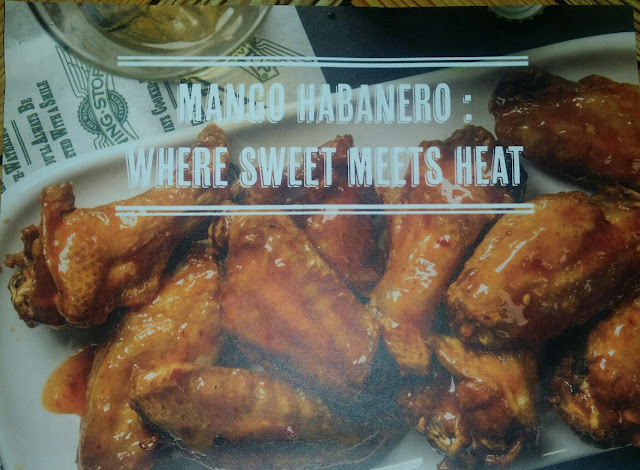 Not often does one pair the familiar sweetness of the mango with the intense heat of a chili, but Wingstop is not your average wings place it is where dulce meets caliente. Mango Habanero is an all new flavor experience where sweet meet heat. The citizens of the south will be happy to hear that they too can now enjoy Mango Habanero and other Wingstop flavors, at its newest branch at Unit FB 08, The Street, at Ayala Alabang Town Center, Commerce Avenue, Muntinlupa City. The best legacies come from the most passionate endeavors. 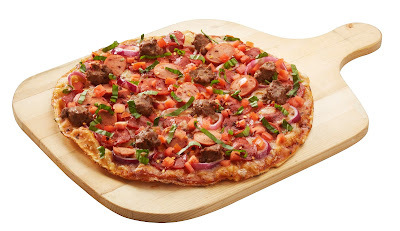 Shakey’s Philippines has been a strong brand in the pizza segment of the local food service since its inception in 1975 when they opened their first store in Makati. Developed by four of the food industry’s giants, Shakey’s emerged as an avenue for marketing San Miguel’s newest draft beer. 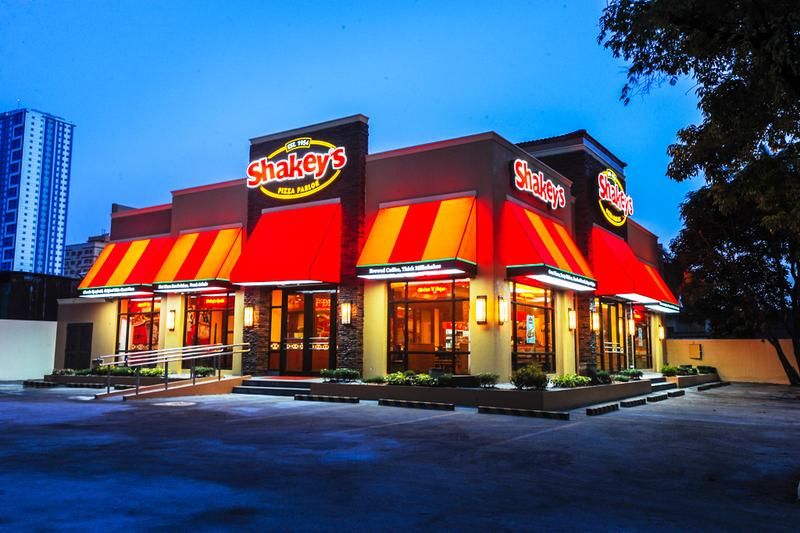 Almost four decades later, Shakey’s is now a successful nationwide franchise with over 150 restaurants. 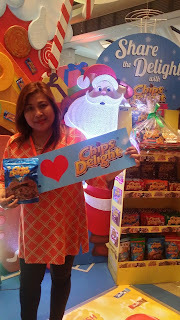 Their latest innovation exhibits a change in image and ambiance to feature the present family-oriented, wholesome, and fun atmosphere. Constantly in tune with their roots, the brand maintains the warmth and familiarity that have made their stores a sensation. They continue to satisfy loyal Guests, while gathering a new following, through their world-famous thin crust pizza and hand-tossed versions as well as a wide spectrum of delicious items including Shakey’s awesome twosome: Chicken ‘N Mojos, and pasta. Shakey’s continues to provide the most mouth-watering meal packages like the Monster Meal Deal. It contains 2 large thin crust Manager’s Choice and Pepperoni pizzas, 2 generous platters of Classic Spaghetti and Carbonara Supreme, 12pcs Party Pack of the flavorful Chicken ‘n’ Mojos plus 3 pitchers of ice cold Coca Cola – a monster package of Shakey’s favorites for your group’s enjoyment served at a great value. This is totally how to eat, eat, eat without paying a lot, lot, lot. Loyal Shakey’s Guests can also avail of greater value-for-money deals through the Shakey’s Supercard that just went through a cyber upgrade to give even more perks to cardholders. From savory pies to delightful snacks and beverages, there’s always something to sweeten the deal at Shakey’s. Shakey’s opened their first store in 1975 in Makati City. 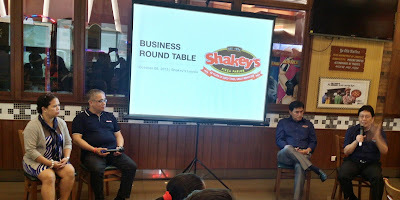 Shakey’s now has over 165 branches nationwide. Its iconic products include the Thin-Crust pizza, and the awesome twosome “Chicken ’N’ Mojos.” The brand also offers Shakey’s Super Shakes to complement their menu favorites. Shakey’s Executives: Leo Prieto, Jr. – Chairman , Vic Gregorio - President and CEO, Jorge Concepcion - General Manager, and Mauch Franco - Chief Information Officer. The Shakey’s SuperCard – Shakey's continues to show appreciation to Guests through customer service promos such as the Shakey's SuperCard that serves as a discount, loyalty, reward and VIP card in one. Shakey’s 1 to 40: Customize your favorite Shakey’s meal for only P1,240.00. P40: SuperCard holders get to enjoy a Regular Shakey’s Special pizza for Php 40.00. New Product – Philly Cheesesteak Pizza: Made of premium beef strips, caramelised onions, green bell peppers, with cheddar and mozzarella cheese topped with Philly cheese sauce. P40: SuperCard holders get to enjoy a basket of Mojos for only P40.00. Pizza 40: SuperCard holders get to enjoy a Regular Think Curst Manager’s Choice pizza for Php 40.00. New Product – Spice Chicken ‘N’ Mojos: This crisp, juicy flavor-packed Fried Chicken and our famous Mojos now feature a thrilling blend of peppers and spices, starts subtle and gets more exciting with every bite. New Product – Frozen Margarita: This is how Shakey’s does the world’s favorite tropical cocktail. Sweet, tangy blue lemonade crush, spiked with Jose Cuervo Tequila. Chicken ‘N’ Mojos Monday Madness: SuperCard holders were treated to awesome twosome favorite Chicken 'N' Mojos at 40 % off. The social media promo generated a total of 230,000 Likes on Facebook and was shared 13, 000 times. Monday Meal Deal Payback: SuperCard holders gets a P500 gift certificate for every Family Meal Deal 2 purchase! New Product – Breakfast Pizza: Enjoy a Regular a Thin Crust Pizza topped with Classic Spam, onions, and scrambled eggs. Or a delicious Regular Thin Crust Pizza topped with breakfast sausage, onions, and scambled egg. Say it with Super! Happy Ho-Ho Holidays: Get a Free SuperCard for every P1000 Shakey’s Gift Certificate you buy. 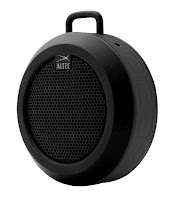 A Super gift you can give to your loved ones this Christmas! New Product – Onion Rings: Coated in our own seasoned beer batter, and fried until perfectly crisp. Served with your choice of any dip or dressing! October Feast: Get a free basket of mojos for a large or party size pizza. SuperCard holders can also enjoy a free pitcher of iced tea or softdrinks. Guests who wants to upgrade to a pitcher of beer will only add P100.00. 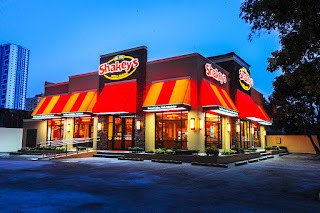 Shakey’s is one of the Most Loved Brands in the Philippines – Shakey's was voted one of Asia's Top 1000 brands, placing 58th in the Philippines, according to the Campaign Asian-Pacific in partnership with information and insights provider Nielsen. It also placed a strong second besting other brands in the food category. Shakey’s Think Guest: Shakey’s embrace and put into action the philosophy of putting Guests at the very center of its organizational activities. It seeks to align mindsets across the organization in becoming completely absorbed about the Guest; that all employees across the organization Think, Decide, and Act to “WOW THE GUEST,” in unison, synchronized fashion, in harmony, single-mindedly heading toward the same direction. Shakey's V League – Now on its 12th season, Shakey's continues its advocacy in supporting volleyball as a sport, and is a model for corporate social responsibility. Shakey’s a new record for the Guinness World Records - Loyal Shakey’s Guest Kevin Medina consumed a 12 inch cheese flavored thin-crust pizza in 23.62 short seconds, breaking the 41.31 seconds record of former record breaker Peter Czerwinski. Shakey’s in partnership with Microsoft: A powerfully functional, cloud ERP system that will support the company’s technology strategy. Shakey's Has More Than Your Average Pizza Restaurant Amenities – Shakey's restaurant diversifies its services through brand assets that definitely differentiates it from the rest. Shakey’s Gets Bigger and Better – Shakey's F. Cabahug opens in Cebu and boasts of the largest branch outside of Luzon yet. With a floor area of 450 square meters it has the capacity to seat 52 tables or a total of 140 persons. It has a spacious parking lot of 21 slots and bigger function rooms for corporate functions, family gatherings, and birthday parties. It also boasts of a full service bar for sports games and events. Shakey's Opens New Stores – Shakeys continues to expand. Its newest branches include. 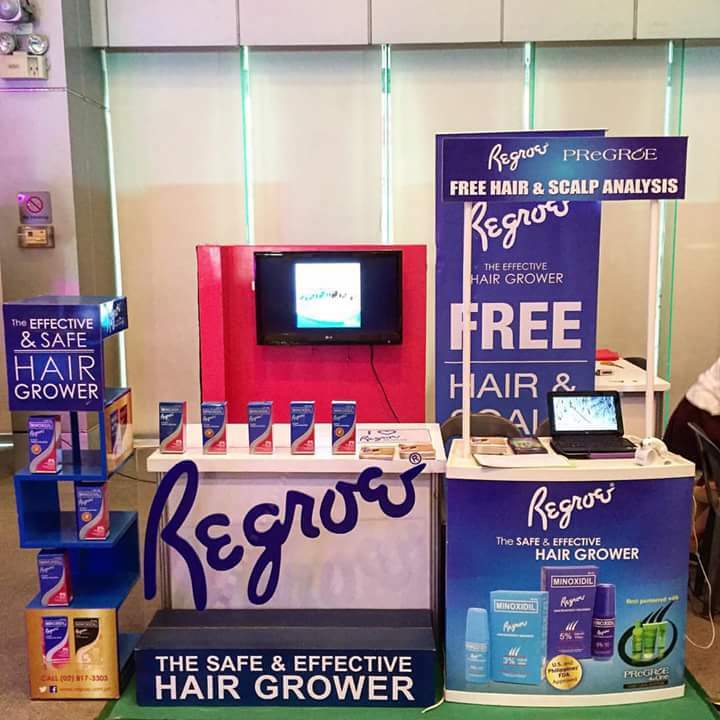 Mindanao Ave., F. Cabahug, Southwoods, Mandaluyong Circle, BGC Stopover, SM Light Mall, Tarlac. Shakey's targets to open 9 more branches before 2015 ends. Shakey's Grows its Partners – Shakey's Zamboanga is scheduled to open this year while the first Shakey’s in Mindoro was recently opened in Calapan, with new franchise partners.